Security Labels cover many applications and represents the successful combination of both our digital UV capabilities and choice of adhesive label materials. FineCal specialise in utilising technologies to counteract the chances of tampering, copying, scanning or even downright removal of contents from packaging in order to offer protective solutions and peace of mind. Looking after a broad range of markets, FineCal works closely with electronics, travel, construction and retail, all who have needs where security is required. 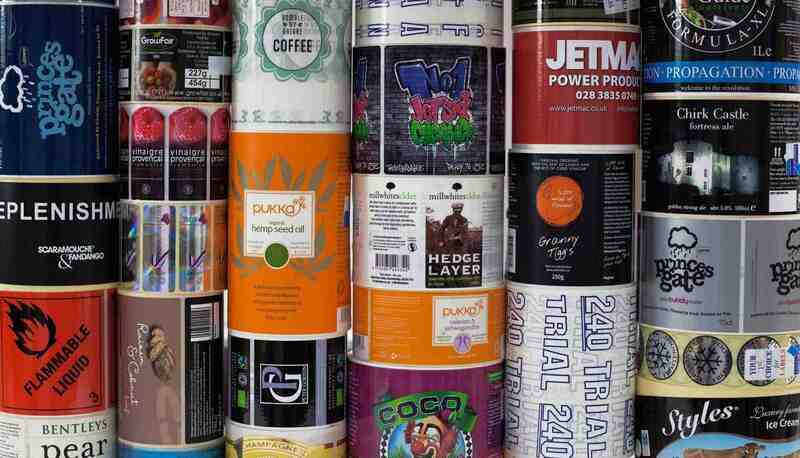 For obvious reasons we cannot divulge all that we do or how we achieve specific solutions but we are at liberty to say that a security label needs to have robust printing and this is where our UV ink technology comes to the fore. Our investment in equipment and investigative time in working closely with 3M plc and Avery Dennison, we have developed ways of offering printing of fine detail which can withstand various rigours of abrasions or weathers. Not only this, we can use hologram technology and intuitive designs to combat counterfeiting or use security seals with fine degrees of colour matching that fully blend in with customer packaging. In addition, tamper evidence can be shown to have occurred through either revealing hidden scripts such as “Void" or combination of sequence numbering unique to you, or where the label itself (once applied) quickly becomes so brittle, it breaks down on attempts to remove. If Security printing is an area that you feel FineCal can help you on, please contact us. This may require a visit from one of our technical representatives (UK only) to fully appreciate and understand your concerns and where we can assist. And remember, before we proceed in production, we offer sample labels to ensure you're satisfied with the result. Get in touch with FineCal today for quotes, free samples and great label knowledge. Ring our office on 0117 971 1111 or send an email to labels@finecal.co.uk. Our reliable team can help you with the design, the print process and help with any questions or queries along the way.